Whenever a large company like Pillsbury releases a new product, there is usually some sort of sale, coupon or discount for it, and these biscuits fell right into line with the savings. I purchased these at Walmart recently. Walmart's original price in my area is $1.98 per can. 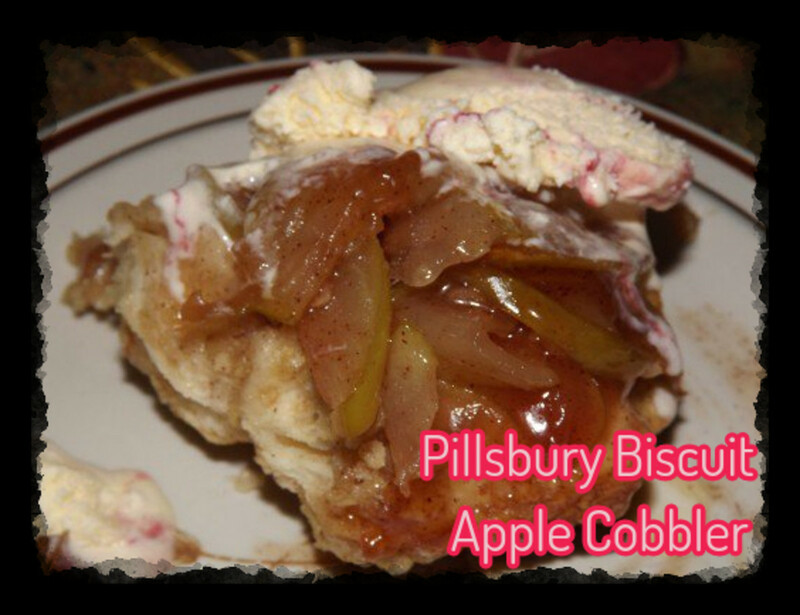 I was able to acquire them with a printable coupon for $1.00 off of three Pillsbury refrigerated items and combine that with a rebate from Ibotta for $1.25 off per can for 2 of the cans that I purchased. Throw in another rebate from SavingStar for another dollar off because I purchased three cans—and this can of biscuits ended up costing me only 48 cents. I love the original Sweet Hawaiian rolls. Like to a fault. I could devour an entire package by myself. I hate to admit it but instead of butter, give me a little bowl of gravy that I can dip those rolls into and I'm in heaven. When I saw the original Ibotta rebate on these for free cans, I knew then that I really wanted to try them. The Sweet Hawaiian flavor is available in their biscuits and they have also decided to flavor their crescent rolls with this loveliness. I haven't tried those yet but when I do, I will definitely post a review. So, I was able to purchase the cans at a discount because of the coupon and the rebates but the big question is, are they any good? 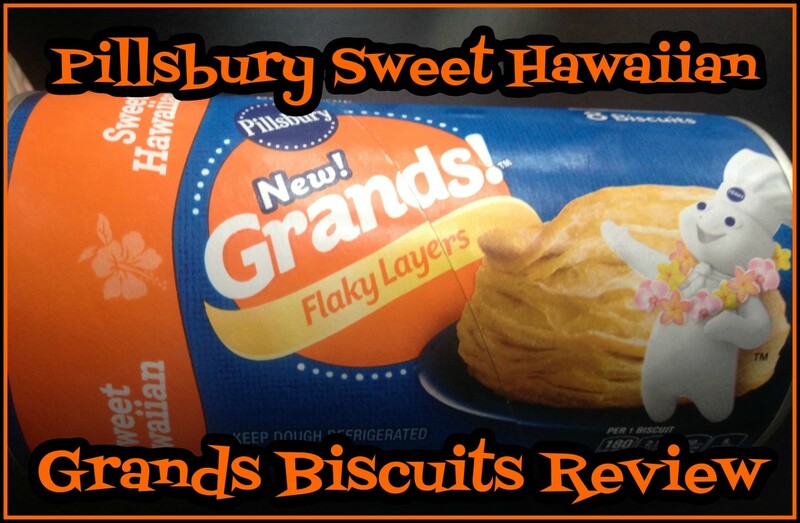 Will the flavor fit with the classic flaky biscuit that we all know and the majority of us out there love? I decided to crack a can of them open for breakfast and find out. I wanted to touch on a few things with the label on this can of biscuits. 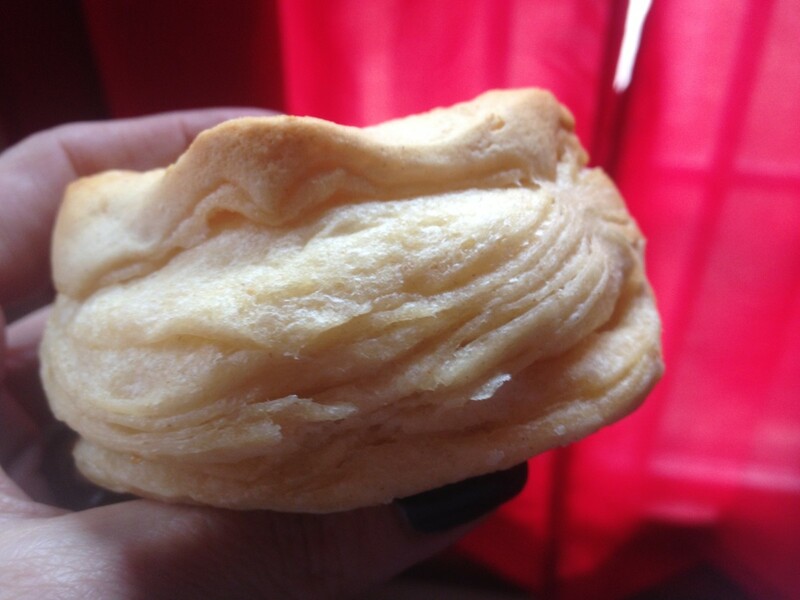 There are the regular 8, large size flaky layers biscuits in this can. It weighs 16.3 ounces and has the dough boy on it wearing a lei. Too cute! The label also features that there are no colors from artificial sources and that the biscuits do not contain any high fructose corn syrup. 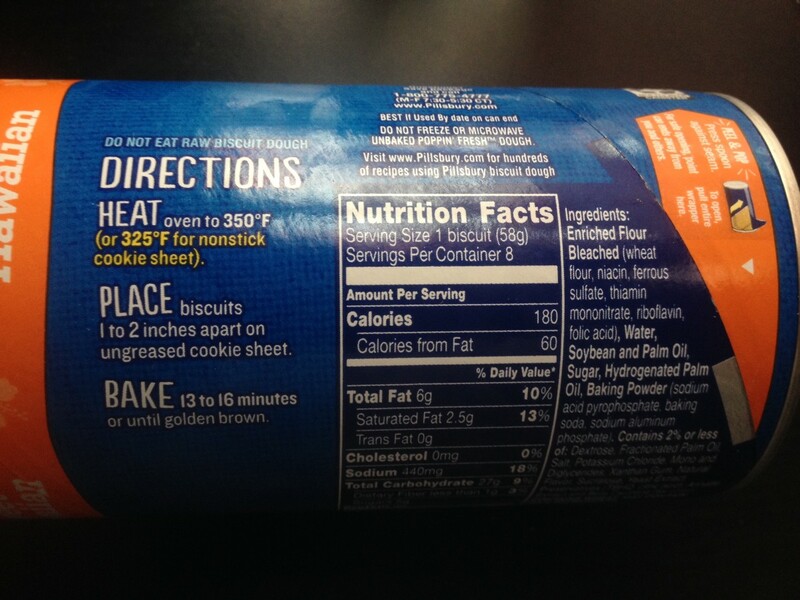 The ingredients list features quite a lengthy list of what is in the biscuits along with the warning that they do contain wheat which means they are not gluten free and they may contain milk products which means they are not vegan. The cooking instructions are also on the back of the can on the label and are identical to other flavors of Grands in the same size can. 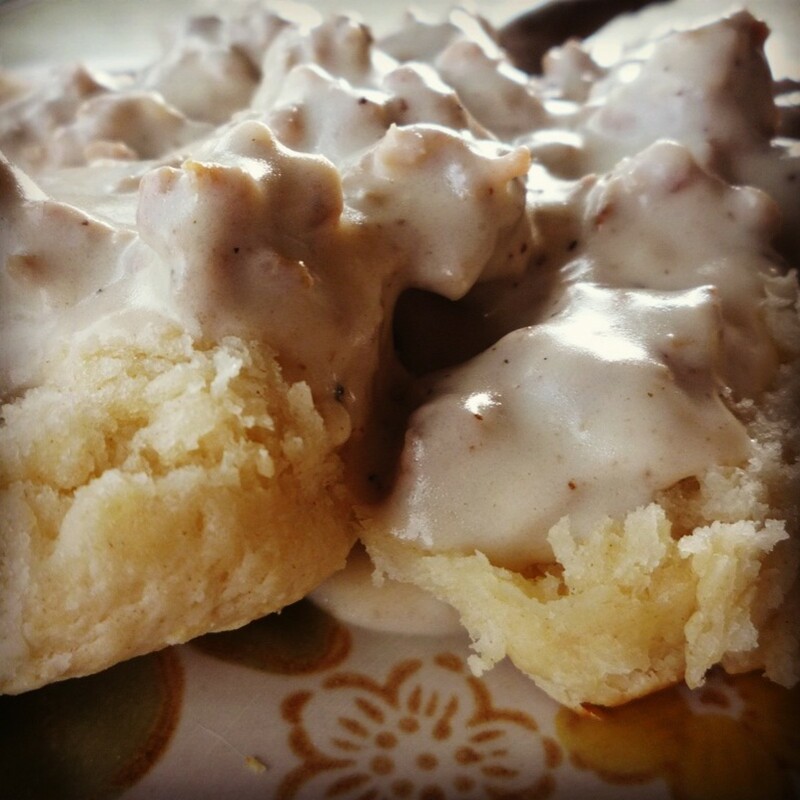 Biscuits and gravy was the first thing that popped into my head for breakfast but I was really afraid that the sweet Hawaiian flavor wouldn't really fit in well with the gravy. In my mind, and this is just me, it just doesn't sound right. I love the rolls with gravy, but not a milk based gravy. I decided on smoked sausage and egg breakfast sandwiches. It would be fast and easy to make and the sweet Hawaiian flavor would definitely fit in with the smoked sausage and egg. The directions for cooking are the same as for the regular Grands line of biscuits so these don't require any special cooking time which is nice because I almost didn't read the instructions out of habit. When you cook something out of a can for over 20 years, you have a tendency to do that! Straight out of the can, the biscuits do have a sweeter smell to them that the regular line of Grands but I expected that. It's not so much the Hawaiian sweet roll scent but there is definitely a distinct difference. The texture of the raw biscuits is pretty close to the regular line as well. There is a slight color difference though but it's that classic yellow hue that the sweet Hawaiian flavoring adds to whatever it is put into. 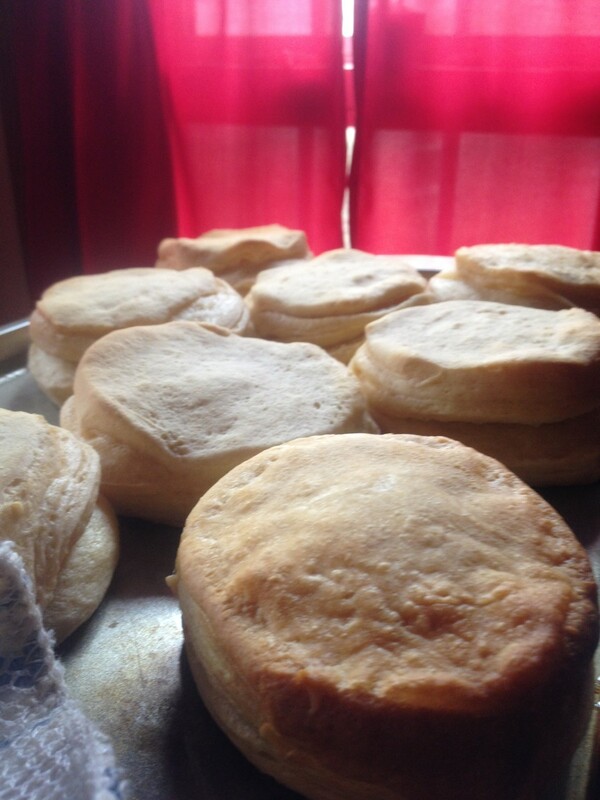 I got the biscuits set out on the cookie sheet and baked them according to the package directions. 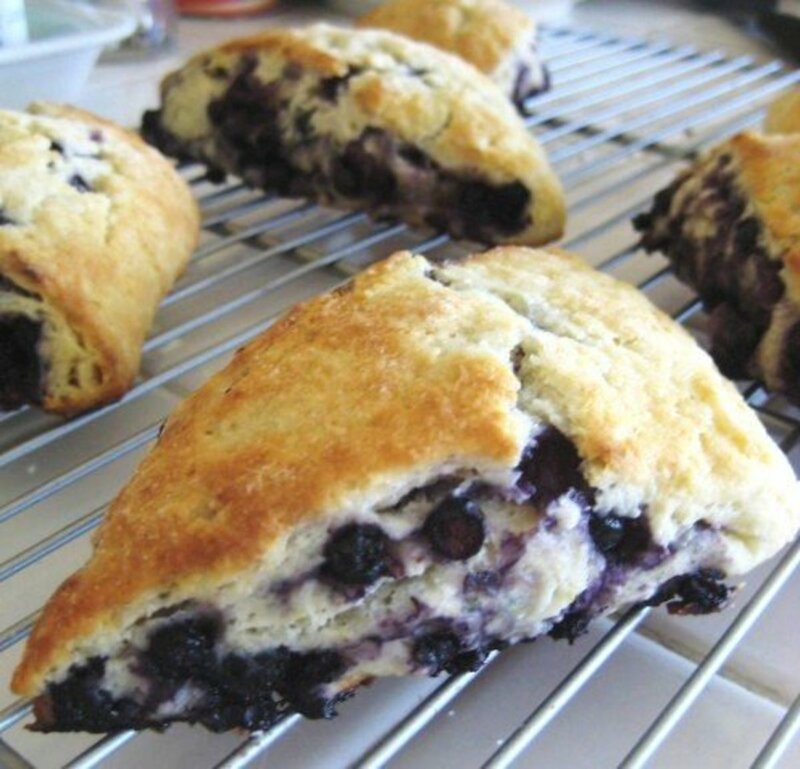 When they came out of the oven, they looked perfect. I piled the egg and smoked sausage onto a few of the warm biscuits. I decided to not use any mayo or any other type of sauce or any cheese. It was a just the basics kind of morning. To be 100% fair to the biscuits, I decided to eat one plain. To keep it as short and sweet as possible, that biscuit by itself was delicious. It was flaky. It had just a hint of the sweet Hawaiian flavor. Like it really was an afterthought. 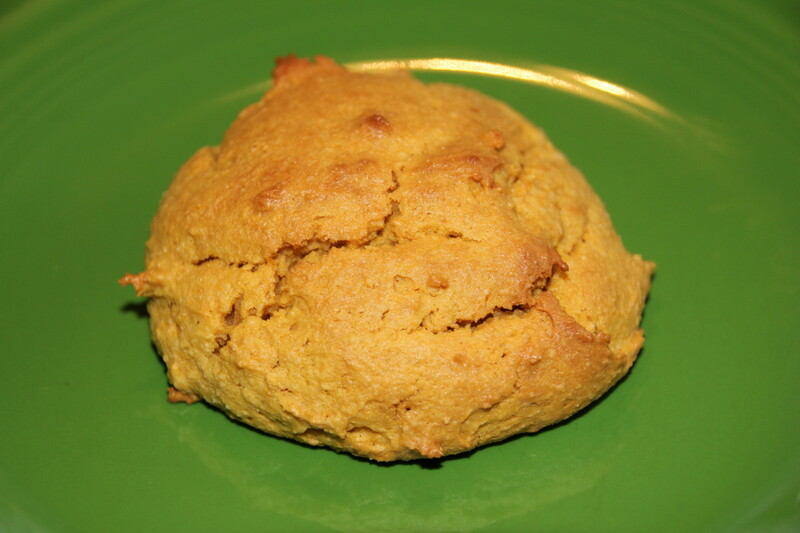 They were very careful not to overpower the biscuit with the flavoring and my taste buds really appreciated that. Then it was time to try the breakfast sandwiches. I built two. 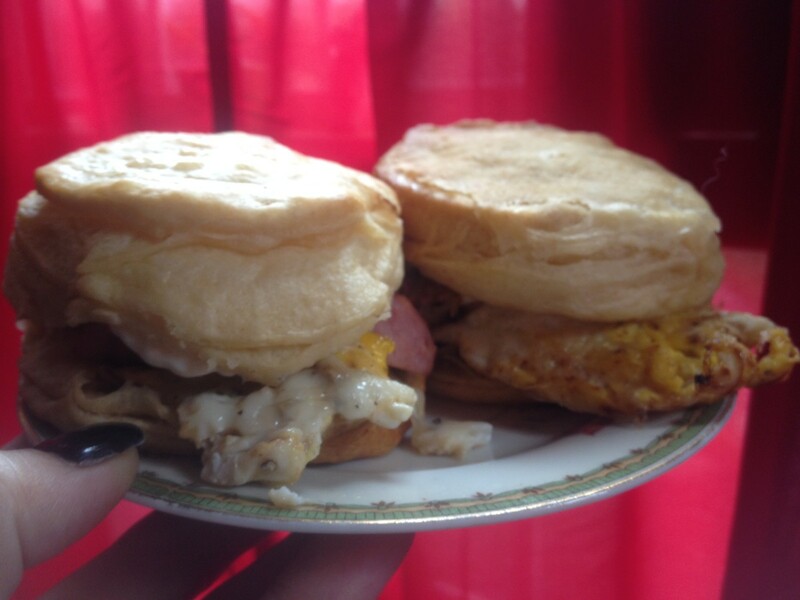 The biscuits split in half with ease and soon I had them piled with savory smoked sausage and creamy scrambled egg. My main concern with this was if the flavor would interfere with the traditional breakfast sandwich or if it will enhance it. First bite was actually quite yummy. The sweet Hawaiian flavor does not overpower the breakfast sandwich at all. In fact, I think it changes it subtly enough to make it interesting and something just a little bit different than your run of the mill, ordinary breakfast. 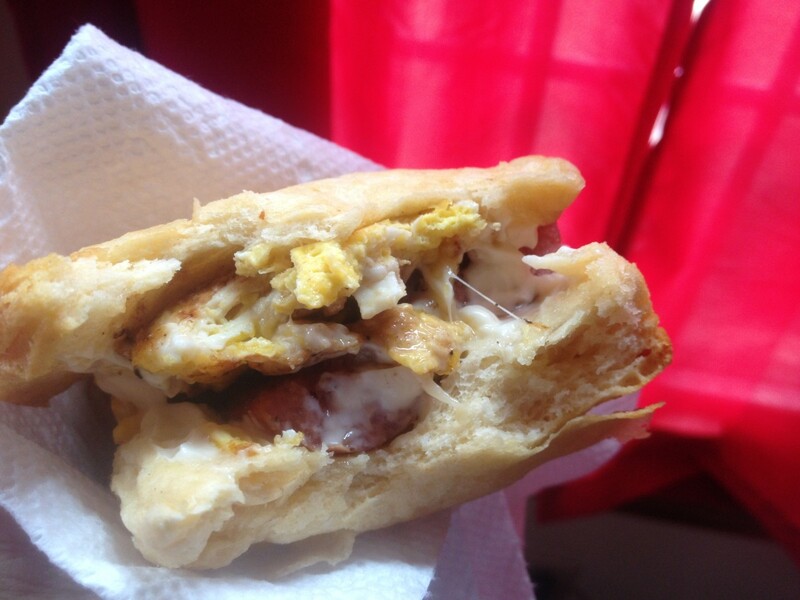 The biscuit flavor melded very well with the flavor of the egg and the smoked sausage. The really funny thing was that after I finished my two sandwiches, the thought that popped in my head was that these biscuits would be wonderful with sliced ham and grilled pineapple. Now that would be a really yummy breakfast sandwich and definitely something to add to the "not so ordinary" list of things to eat. Have you tried these biscuits? In a nutshell, I really do like these biscuits. I think that they have a lot of potential for things like breakfast sandwiches and as a bread for a meal but I'd be careful going anywhere else with them. What I mean by that is that these probably won't be a good biscuit to use for a lot of the recipes that people use canned biscuit dough for. 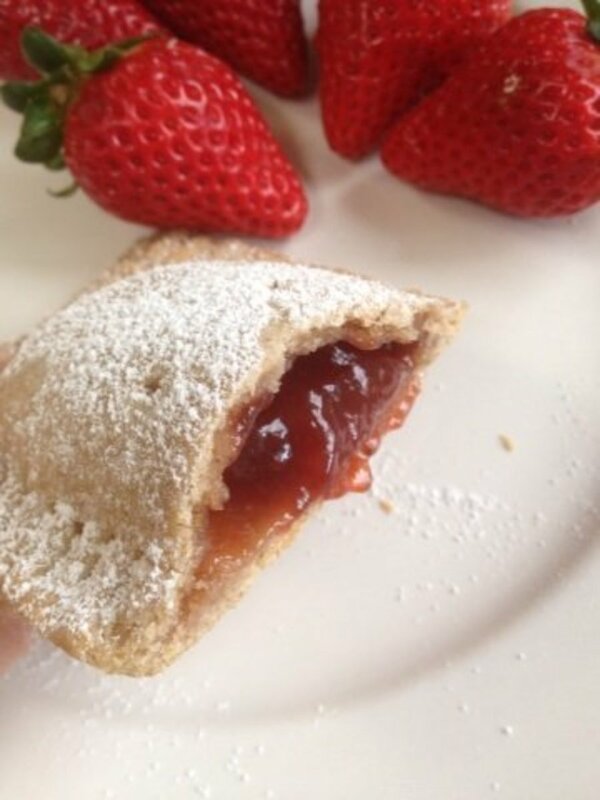 Topping a cobbler or using them as dumplings would probably be a disappointing experience because of the flavoring but that's just my opinion and observation on it. If you are planning on using them for something like that, I'd do a test run with it first to make sure it is going to fit your and/or your guests' taste buds to your satisfaction. Make the dish ahead of time so you can try it yourself to make sure it isn't going to be a disaster when that sweet Hawaiian flavor kicks in. 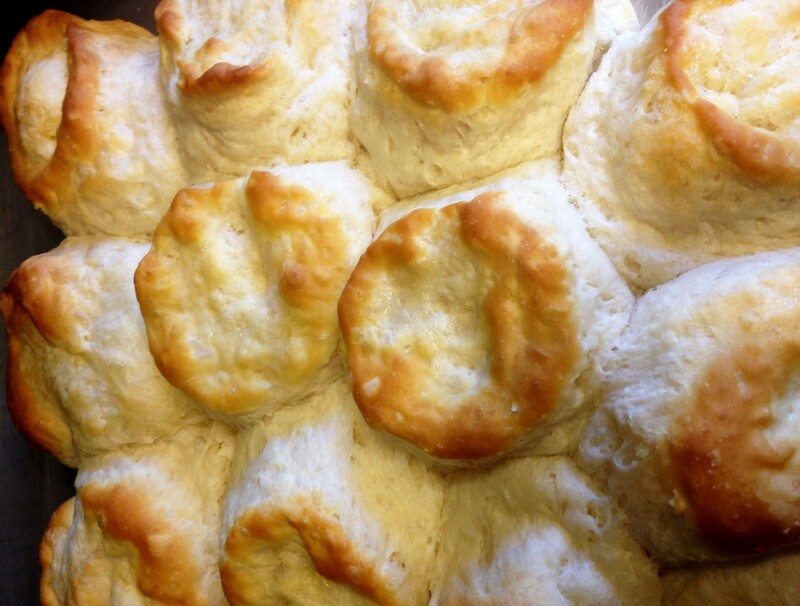 Other than that, I honestly can't think of anything negative to say about these biscuits. I would definitely purchase them again and would even be willing to pay full price for them which says a lot. Well done, Pillsbury! They are in fact delicious. Have you tried these yet? Are you planning on picking up a can anytime soon? 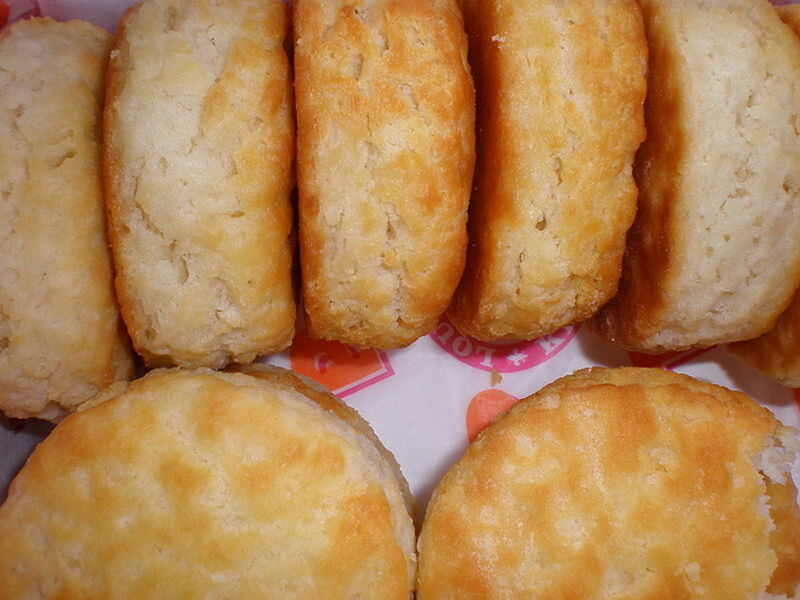 Let me know your thoughts about these biscuits in the comments below. OMG these are AMAZING. So love these biscuits. Still using heart attack causing trans fats. Hydrogenated vegatable oils shame on you. Rochelle Frank I do agree that it is kinda high in calories and sodium and am glad I'm not the only one that thinks that. I ate three of them for this review but will normally stick to one or two. 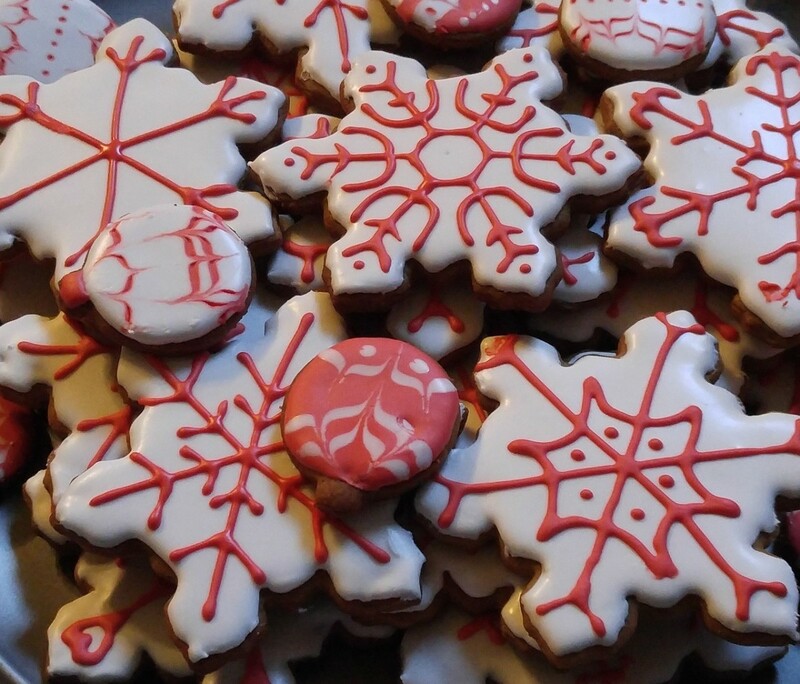 The hot chocolate would be delicious with these! Gotta love it when HubPages pairs two yummy things together. They look and sound good (especially next to a hot chocolate hub) but they are pretty high in calories and sodium. Patricia Scott They would be great for something like that!